This picture was taken outside in the sun. I originally thought that 6 were isabella and 3 were chocolate. It looks to me like you have 3 or 4 Izzies and the rest chocolates. 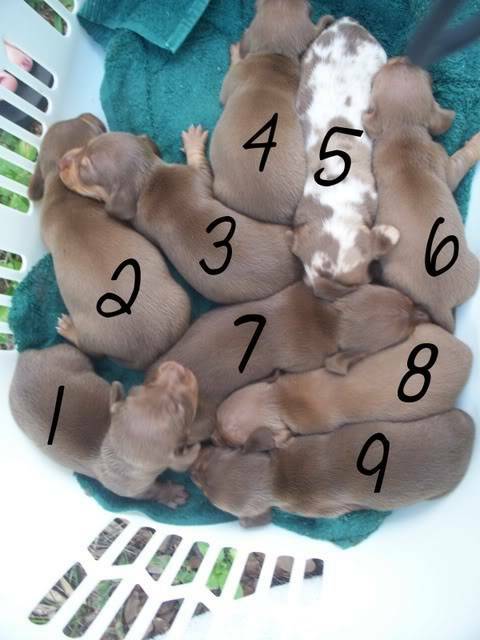 I have not dealt with these two colors much, but I can tell you that I really think puppy8 is a izzie. Don't take my word for it though!